Enables an improved compatibility mode enhancing the way applications originally designed for smaller screen devices appear and function on the larger tablet display. Adds extended screen support API, giving developers more precise control over the user interface across a range of Android-powered devices. 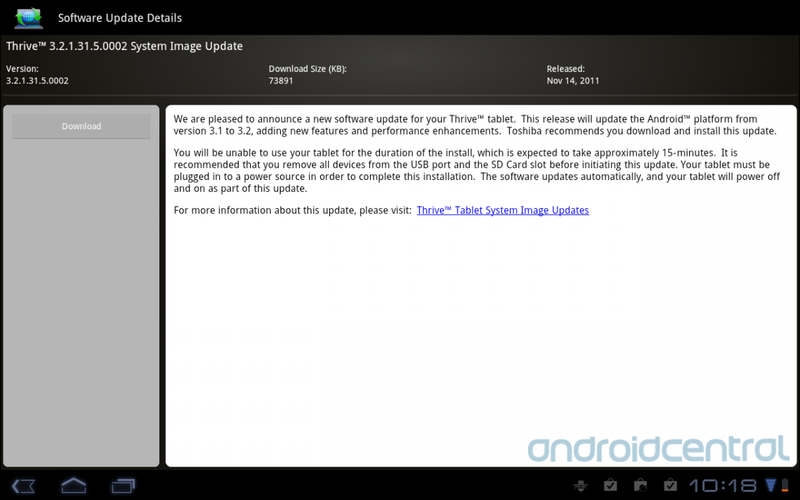 Thrive owners can snag the update in the tablet's update app. Do note that if you use the Android Market widget, it might disappear because of a naming change. You can add it back after the update.